“Dora Dora Dora, the Explorer – Dora!” is commonly sang in our house. And why not. Dora’s a cool chick. You know this, I’ve blogged about her before. Dora is an adventurer and the role models in her stories are mainly female. 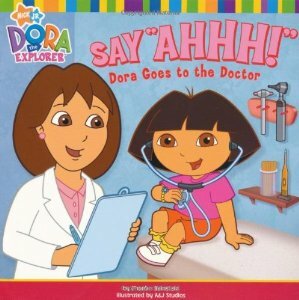 Nurse Pilar and Dr. Lopez, for example, along with her Mami are the main characters in this book we have called Say “AHH” Dora Goes to the Doctor. I’m not a big fan of the doctor. I try to stay away from the doctors’ offices and hospitals unless I feel I absolutely need to go. Balance that with the fact that I’m very pro-Western medicine. Because I’m scared. Yes, I had a thought to give birth without anesthesia, for about 10 minutes. When I give blood I warn the phlebotomist that I’m one of those nervous people, I look away, and I take deep breaths. Okay, a little out of sequence, but the thought was there. 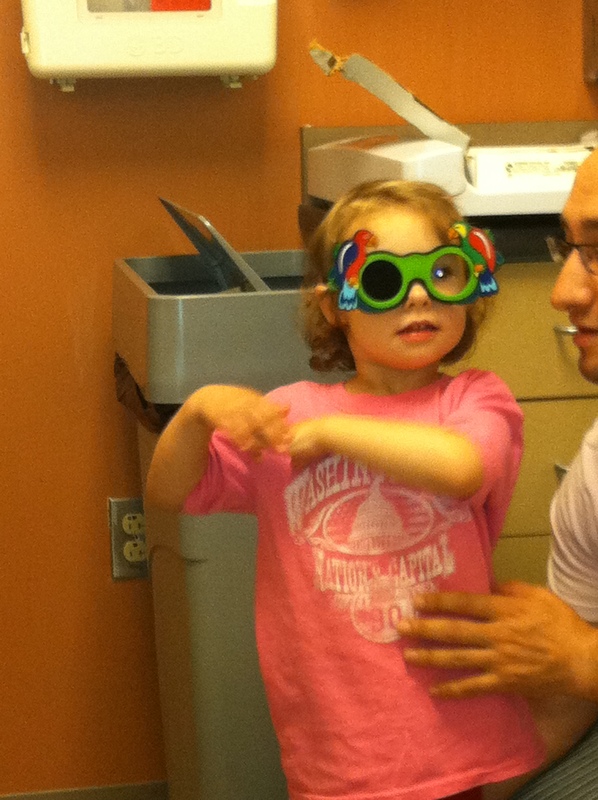 Gosh, I wish I was such a champ at the doctor. Liron didn’t get my wimpy genes.